How to Wear Gold-Colored Accessories? If you're following me on my Instagram (now also available here on the site), you've probably noted that I've been sporting a lot of accessories in the color gold. It's hard to say where my obsession with this tone of yellow started, but I must say I've been absolutely loving it for many of my recent looks. It's an insanely versatile color that works well with almost every color and often creates a little bit more unusual outfits from what people are used to seeing. 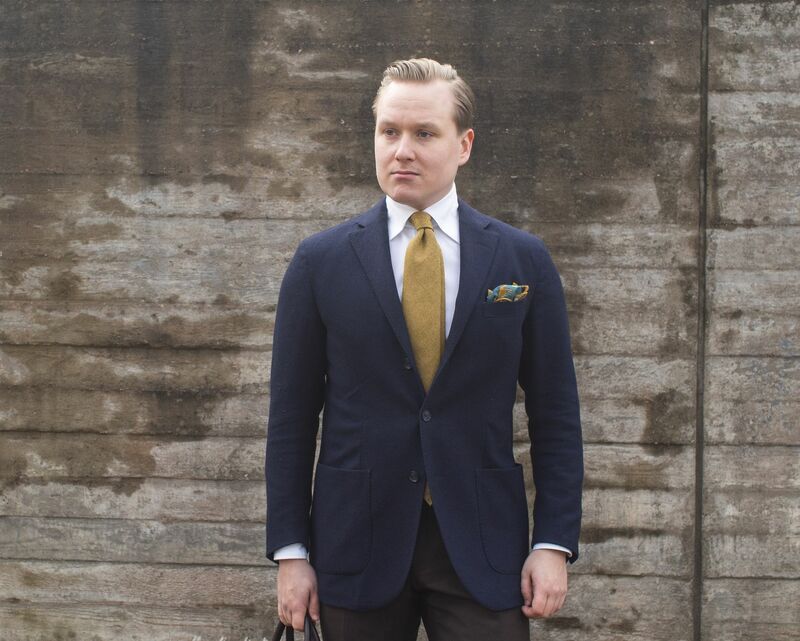 I'd highly recommend trying it out by, for example, replacing a burgundy tie with a gold-colored one. 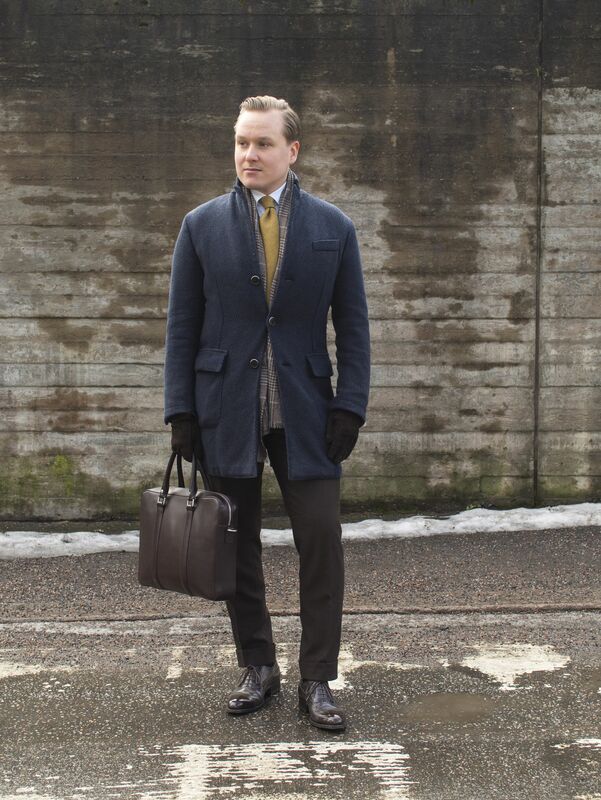 In this look I'm wearing a LBM 1911 coat, espresso Madova carpincho gloves, Luigi Bianchi Mantova jacket, Luxire shirt, Drake's wool cashmere tie, Drake's wool silk pocket square, Albert Thurston narrow braces, Vaatturiliike Sauma trousers, Berg & Berg socks, Vass Oxfords and Linjer briefcase. I've been using this fold a bit less recently, but it seemed fitting for this type of winter sport coat look. 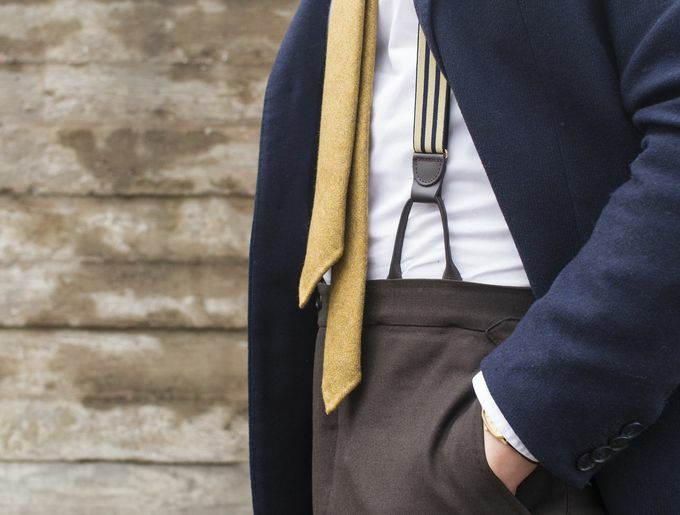 Pale yellow and navy braces for a touch of vintage. A well-polished pair of brown Oxfords tends to be my preferred choice for nearly anything I wear during the colder seasons. 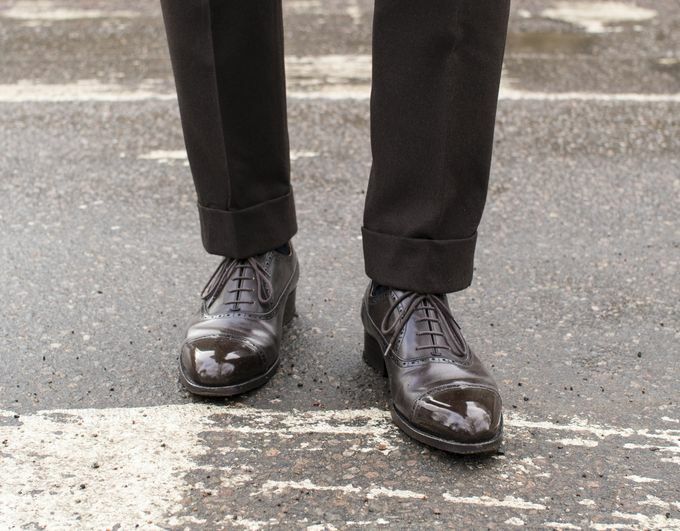 In this case, I've opted for my gorgeous Vass Balmoral Oxfords. And a full body shot for an overall view of the outfit. When you think about it, it's not really about the color gold at all, just a combination of well-coordinated darker colors that fit the season. 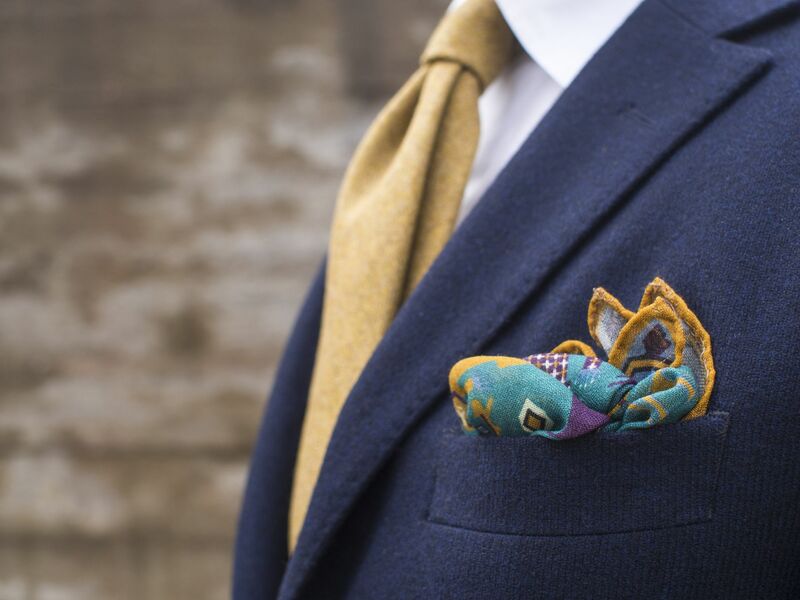 The accessories are only there as subtle details.